First it was Nutella stuffed doughnuts, then it was giant burgers, and now it’s giant burgers made of Nutella stuffed doughnuts (well, not really…but that’s probably a thing). Food trends are getting a little out of hand these days, with ‘grammable loaded milkshakes and soy pumpkin spiced turmeric lattes becoming the new norm. Luckily, there’s a new food trend in town, and this one helps both the environment and our waistlines (win-win, right?). That’s right people, farm-to-table eating is the sustainable, delicious, and environmentally friendly food trend that we’ve been waiting for. More and more local eateries are adopting the paddock-to-plate mentality, either growing produce on their own farms or sourcing their ingredients from local growers. Farm-to-table dining takes the middle man out of the equation, so your meal is as fresh and as delicious as possible. Trust us, you can taste the difference. 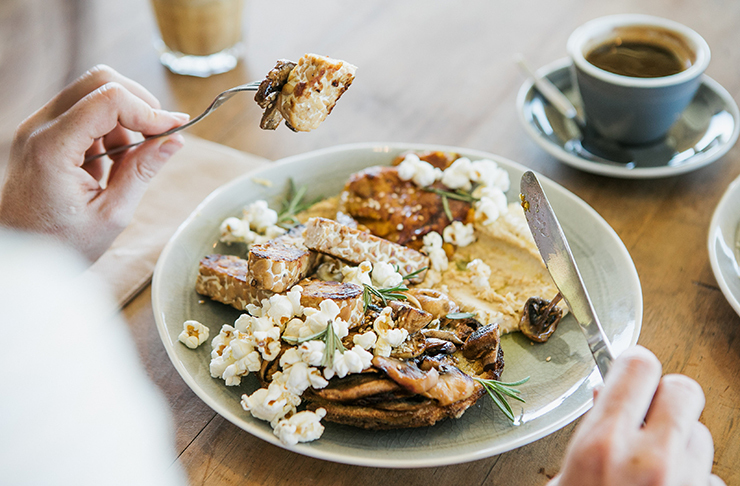 And we're thrilled to say the Sunshine Coast is leading nationally with this trend, with more and more farm-to-table restaurants and cafes popping up throughout the coast and the hinterland. If you’re looking for ideas on where you should get your ethical eats from, then look no further. Here are 10 of the best paddock-to-plate restaurants on the Sunshine Coast. Enjoy! 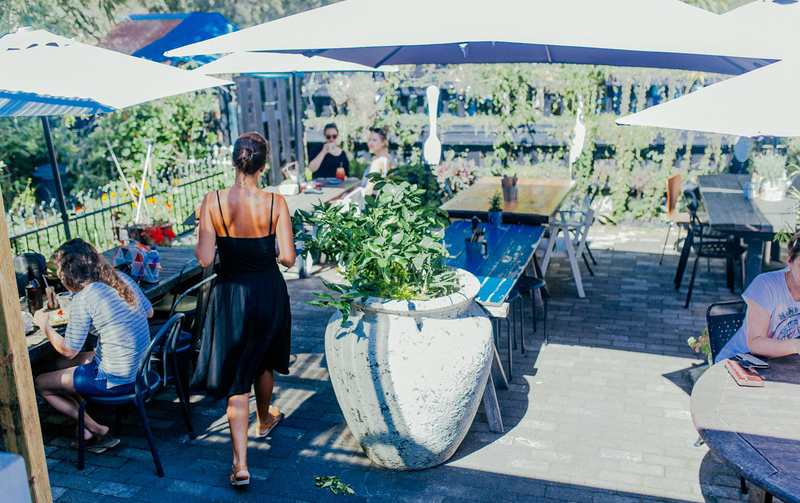 Nestled in Kandanga in the beautiful Sunshine Coast hinterland, Kandanga Kitchen is a sustainable eating game-changer. When these guys say farm-to-table, they mean it. All their produce is sourced from their own adjoining farm, or from neighbouring growers. With an iconic menu that includes juicy beef burgers and delicious banana pancakes, Kandanga Kitchen in the perfect spot to pull up a chair and enjoy a fresh and delicious meal with your friends. Situated on Careela St in Mooloolaba, The Velo Project is a great post-surf refuelling destination. Serving up a menu made entirely of locally sourced and fresh produce, this humble little café has something for everyone. Its creative menu takes classic breakfast and lunch favourites and gives them a unique twist. Think parmesan roasted corn and potato haystacks, bacon and egg brioche rolls with avocado and haloumi (yes please), and buckwheat Nutella and pistachio crepes. They also serve up a range of freshly squeezed juices, smoothies, and coffees, making this your perfect post-beach pit stop. Coolum’s hidden treasure, Harvest is a small intimate restaurant that uses only the best locally sourced produce and fresh fish in their modern Australian and Mediterranean inspired menu. Harvest is open for lunch and dinner every day, and has a drool-worthy menu (roasted pumpkin and goats cheese arancini, anyone?). This little gem is also open for breakfast on weekends, making it the perfect spot to grab some French toast or buttermilk pancakes for your lazy Sunday brunch. Flame Hill Vineyard is the ultimate paddock-to-plate experience for anyone who loves food (so everyone, right?). Situated in Montville in the Sunshine Coast’s Hinterland, Flame Hill Restaurant and Terrace boasts both stunning views and an irresistibly delicious menu. Flame Hill’s own farm and kitchen garden produces their own grass-fed Angus beef, as well as most of the herbs and fresh vegetables used in their menu. The restaurant is situated in the midst of a 300 acre working vineyard and cattle property, taking the farm to table experience to a whole new level. The environment and your tastebuds will thank you. 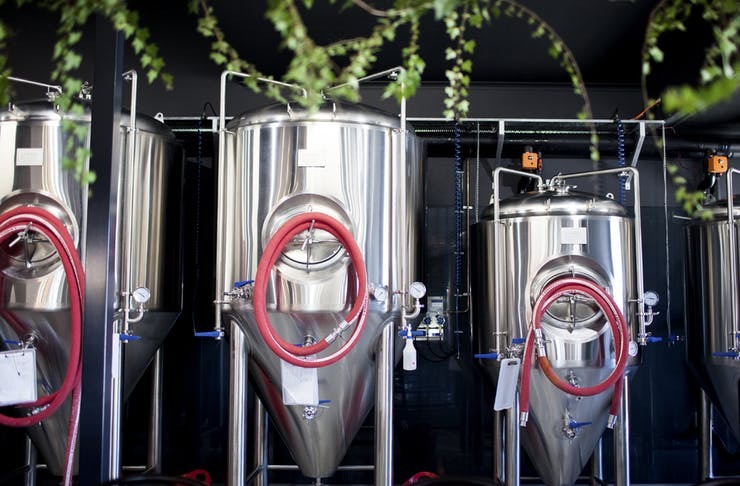 Not so much paddock-to-plate as barrel-to-beer stein, this Maleny beer brewery is still worth a visit. Created in 2016 by four beer loving mates, Brouhaha opts for simplicity and purity over additives and preservatives when it comes to their beer philosophy. With a menu full of different beers, Brouhaha is the ultimate destination for any beer lover. Can’t decide? Be sure to try their beer paddle, a tasting board with a sample of 4 beers of your choice. Oh, and their food menu is just as good, using locally sourced ingredients to serve up a little slice of the Sunshine Coast. With beer of course. “Good food served well” is the motto of this groovy little Buderim eatery, which makes sense considering they only serve up the best quality and locally sourced produce. They use their own kitchen garden to grow most of their herbs and vegetables, while meat and dairy products are all sourced from local farms in Maleny and Gympie. From pan fried potato gnocchi with pork ragu and parmesan, to buttermilk pancakes with caramelised banana, this place has something for everyone. Once you come to Hungry Feel Eating House and never want to leave. Located in the Sunshine Coast’s own foodie hub, Noosa, this little slice of Japanese heaven is putting a fresh new twist on traditional Japanese cuisine. Welcome to the delightful Wasabi. Their menu is specifically designed to showcase the fresh seasonal produce that is harvested daily from their own farm at Honeysuckle Hill. The farm was opened in 2012 to grow produce specifically for the Wasabi restaurant, and is used to grow traditional Japanese ingredients such as Tokyo mustard, sweet melon, red fleshed plums, mulberries, and Japanese chilli, just to name a few. Hinterland Feijoas is neatly nestled away in Belli Park in the Sunshine Coast hinterland, this family owned Feijoas farm is a little slice of heaven. Surrounded by beautiful views and rolling green hills, this is the perfect family weekend destination. Now, ‘what’s a Feijoas?’ I hear you ask. Well, it’s a delicious sub-tropical fruit with green skin and a creamy sweet jelly centre. Sounds delicious right? Lucky for you, you can buy your own Feijoas here and take them home with you! There’s also a retro coffee van that sells delicious sweet treats and coffees, as well as an artisan gallery and farm shop. With plenty of cute farm animals around too, this is the perfect place to bring the family on a weekend getaway. Who doesn’t love strawberries, right? This beautiful strawberry farm in Bli Bli opens its gates to the public seven days a week, and lets you pick, package, and buy your own strawberries! Don’t worry if strawberry picking isn’t your thing, because the Strawberry Lane Ice Creamery is the real reason to hit up this farm. Their award winning fruit flavoured ice cream is not only delicious, but is also made using fresh fruit and locally sourced dairy. Our ice cream pick? Strawberry, of course. Here it is people, the OG of farm-to-table dining. 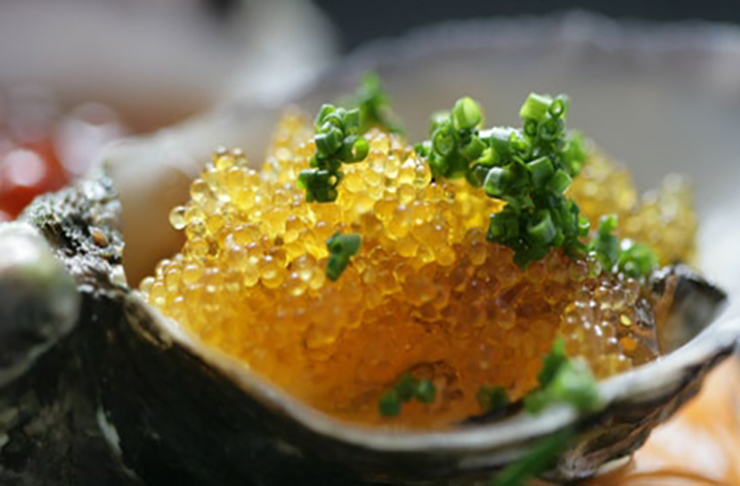 No list of sustainable dining destinations would be complete without it. Although it is located in Byron Bay, this place is worth the drive. Situated on an 80 acre farm, the Three Blue Ducks restaurant takes the farm-to-table experience up a notch. With an array of delicious menu items made from fresh farm produce and locally sourced meat and dairy, The Farm is the Lebron James of sustainable dining. While you’re there, you can pick up some sweet treats from their in-house bakery, dine in at the Three Blue Ducks restaurant, or wander around the farm with a house made picnic hamper. Next time you’re road tripping to Byron, add The Farm to your to-do list. All right folks, there’s no excuse now. Farm-to-table dining is officially trending, so get out there and enjoy some sustainable sustenance. Who knows, it may inspire you to start your own home garden and try it for yourself! Now you've eaten your weight in food what about a hike? We've rounded up the best hikes on the Sunshine Coast here. We've also rounded up the best beaches on the Sunshine Coast here. Image credit: Amy Hiigg, Claire Plush and Ariana Gillrie for The Urban List and Wasabi.